NLECAA intends to bring greater awareness to, and understanding by, our nation's law enforcement officers on the oftentimes misunderstood nature of animal abuse crimes and their link to violence against humans. JUST RELEASED: 2019 Special Edition of Sheriff & Deputy! We first created a special issue back in 2014, but we recently published an updated version with new content for 2019! If your agency would like to order multiple copies, please email animalcruelty@sheriffs.org. They come in boxes of 100, but we can mail you fewer quantities if needed. If you want to read the 2014 issue, please click here. 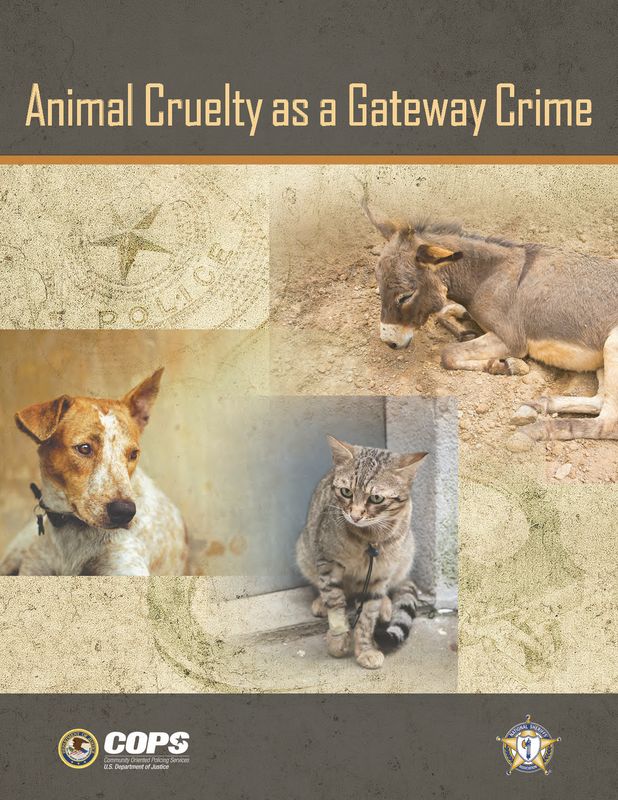 NSA and COPS Office release new animal cruelty resource for law enforcement. “This publication discusses the fact that crimes of cruelty to animals are often precursors to crimes of violence and abuse against people. 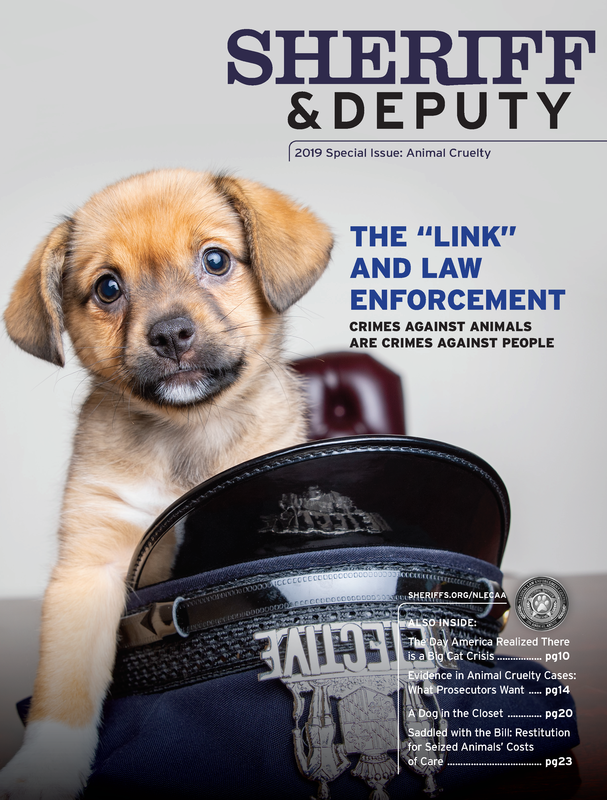 It outlines the ways in which law enforcement practitioners’ maintaining awareness of animal cruelty—including by bridging the communication gap with their colleagues in animal control—can expose warning signs in homes of the possibility or likelihood that other crimes are imminent and may help anticipate and prevent those crimes before they are committed,” said COPS Director Phil Keith. “Our research has shown if somebody is harming an animal, there is a good chance they also are hurting or will hurt a human. If we can see patterns of animal abuse, the odds are that something else is going on,” said John Thompson, Deputy Executive Director of the National Sheriffs’ Association. The white paper and links to the mobile application are available at https://www.sheriffs.org/AnimalCrueltyGateway. 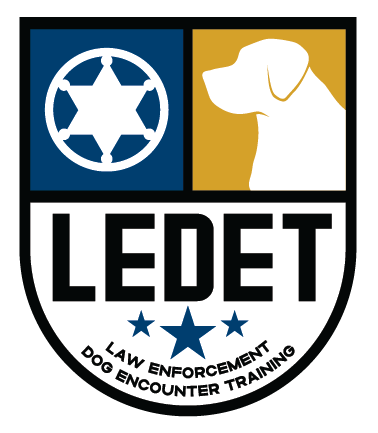 NLECAA is proud to be working on a national training curriculum on law enforcement dog encounters training (LEDET), with a companion virtual scenario training package created by VirTra, Inc. Need to report animal abuse/cruelty? Check out this valuable resource from the National Link Coalition on how to report animal abuse in your state. RedRover releases infographic to help recognize abusive relationships involving pet abuse/animal cruelty. The Joint Counterterrorism Assessment Team - a collaboration between the National Counterterrorism Center, the Department of Homeland Security, and the FBI - released a new addition to its First Responder's Toolbox series, Animal Cruelty: A Possible Warning Behavior for Terrorism and Other Premeditated Violence against Humans Which Needs Reporting and Further Vetting. The report acknowledges the connection between animal cruelty/abuse and future acts of targeted violent crimes against humans. It outlines the importance of reporting and vetting animal cruelty cases and stresses the need for multidisciplinary cooperation in investigating and prosecuting them. The report also gives some basic tips in investigating animal cruelty cases. 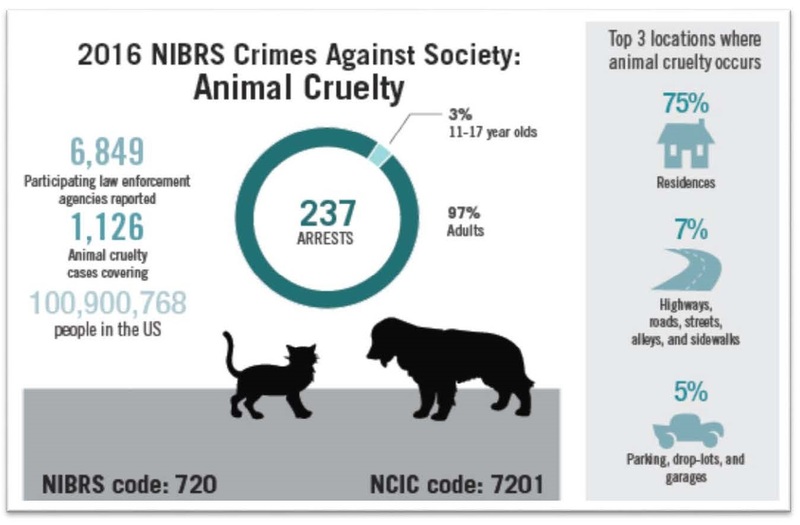 Check out this infographic that highlights the things John Thompson, Deputy Executive Director of the National Sheriffs Association, discussed during his webinar including the misunderstood nature of animal abuse crimes, and their link to violence against humans. Also, check out John's webinar, Partners in Crime: The Link Between Animal Abuse and Human Abuse, as well as John's interview with JCH's Christina McCale, "The Link between Animal and Human Abuse: An Interview with John Thompson." See all the animal cruelty/animal abuse-related webinars JCH has scheduled for 2018 and 2019! The National Law Enforcement Center on Animal Abuse was established to provide law enforcement officers information on the realities of animal abuse and to promote their proactive involvement in the enforcement of animal abuse laws in their communities. Through our partners, the Center will serve as an information clearinghouse and forum for law enforcement on the growing problem of animal abuse and its link to other types of crimes, including violence against humans. Additionally, NLECAA seeks to train and education officers on how to handle officer-dog encounters more safely. 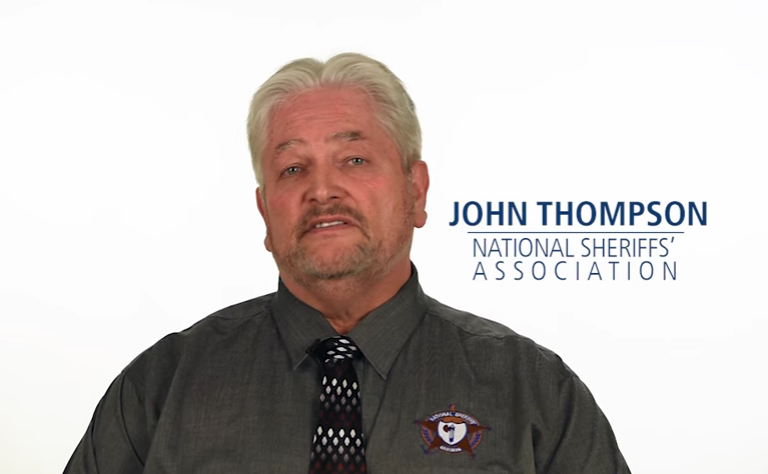 The National Sheriffs’ Association has teamed up with the Humane Society of the United States (HSUS) to produce roll call training videos covering topics in animal abuse. The goal of the video series is to alert law enforcement officers to various types of animal cruelty crimes and how to investigate them, while working within their rigorous schedules. This allows agencies to keep officers up-to-date on animal cruelty crimes in their community through quick but efficient videos that can be built into their daily work. There are currently two videos available – “Cruelty and Neglect” and “Dog Fighting” – with plans for additional videos in the future. They feature experts in the subjects and are both prefaced by a message from NSA Deputy Executive Director John Thompson. Thompson is a vocal advocate from law enforcement in the realm of animal welfare and was integral in getting the FBI to finally include animal cruelty amongst its trackable offenses in the National Incident-Based Reporting System (NIBRS). The link between animal abuse and subsequent or concurrent human violence is proven by research and it is imperative that law enforcement officers understand this link. These crimes typically involve more victims than just the animal. “If somebody is harming an animal, there is a good chance they also are hurting a human,” said Thompson. 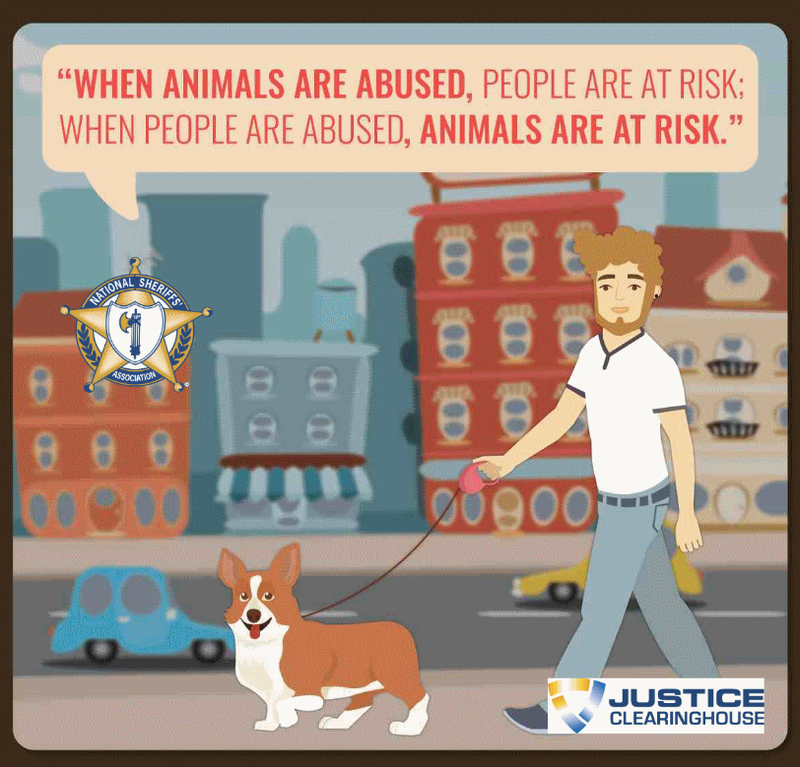 “If we see patterns of animal abuse, the odds are that something else is going on.” That’s why it’s crucial for law enforcement to be able to understand and recognize animal abuse crimes for the protection of everyone in their communities. 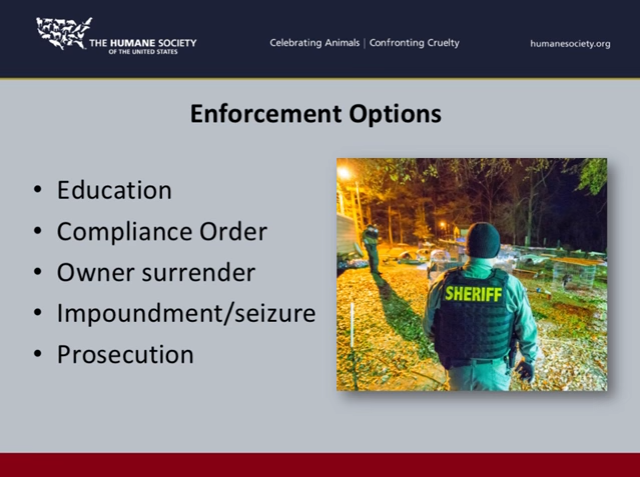 The HSUS provides no-cost training and support to law enforcement agencies across the country in handling animal abuse cases. For access to the videos, please contact Ashley Mauceri (amauceri@hsus.org) or April Doherty (adoherty@baltimorecountymd.gov). If you’d like more information on resources available to law enforcement to combat animal abuse, contact the National Law Enforcement Center on Animal Abuse (NLECAA), a program within NSA, at animalcruelty@sheriffs.org. About our partnership with the HSUS.